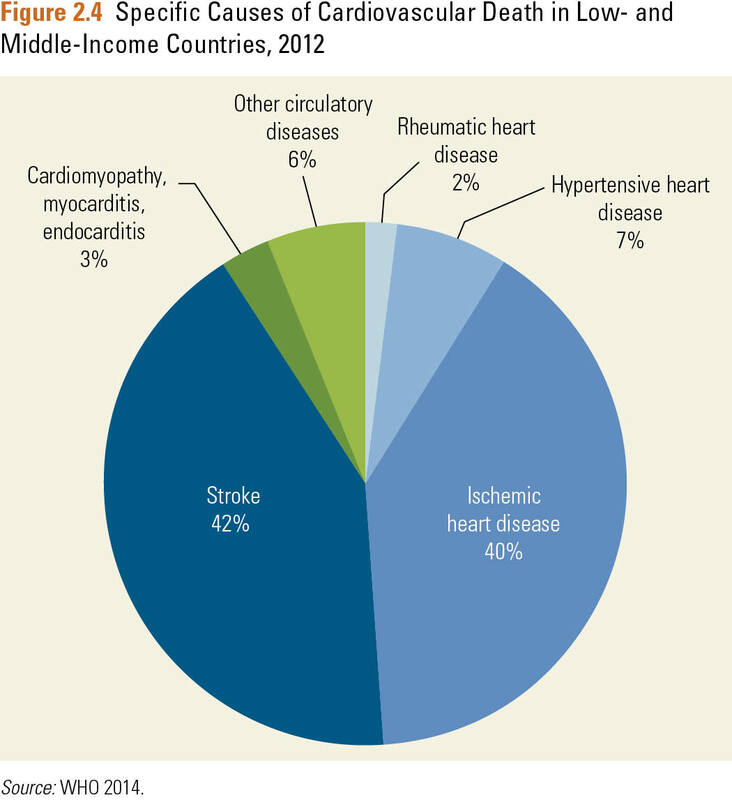 Adults living in low-income and middle-income countries (LMICs) face a high risk of death, disability, and impoverishment from cardiovascular, respiratory, and related disorders (CVRDs). High-income and upper-middle-income countries have reduced age-standardised mortality due to cardiovascular disease by more than 25% since 2000. Specific needs to strengthen primary care include training of primary or nonphysician health-care providers in the management of CVRDs using local or regional guidelines, ensuring availability of inexpensive, generic, or combination drugs in clinics, and creating culturally viable strategies to improve patient adherence. Cost-effective prevention policies and treatments for CVRDs are possible to implement in LMICs. Universal health care that includes care for CVRDs provides benefits beyond individual health to financial protection of families. "This volume on CVDs, renal, and respiratory disorders has particularly high value. It carries the potential to become the most effective game-changer in global health by helping all countries to combat, contain, and control the biggest killer presently prowling the globe and by enabling us to reach the 2030 goals for NCDs and health overall. As one who has witnessed the epidemic of CVDs advance menacingly across the world in the past four decades, I fervently hope that the clear and convincing messages conveyed by the extensively researched and elegantly communicated analyses in this volume will be heard, heeded, and harmonized with policy and practice in all countries." Purchase copies of the volume from Amazon. Volume Citation: Prabhakaran, D., S. Anand, T. Gaziano, J-C. Mbanya, Y. Wu, and R. Nugent, editors. 2017. Cardiovascular, Respiratory, and Related Disorders. Disease Control Priorities, third edition, volume 5. Washington, DC: World Bank.